Wednesday this week was a truly dreary, dark and very cold day. All types of weather threw themselves at the ground; hail, snow, rain, sleet and it was windy too. Especially as it is March, I want to see evidence of Spring. Most of all flowers and lambs. 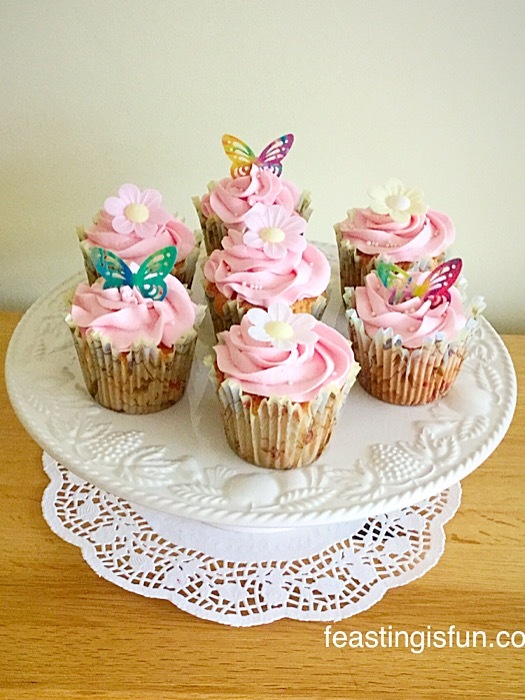 Finally, I an attempt to cheer us all up I made these very pretty and extremely delicious Springtime Vanilla Cupcakes. 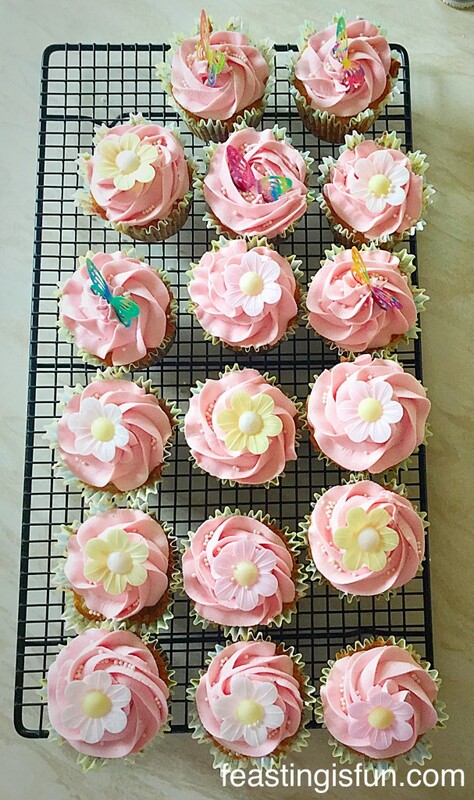 Does the image of pink, raspberry buttercream topped cupcakes, adorned with large daisy flowers and butterflies cheer you up? 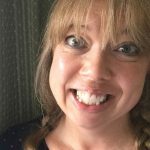 While the weather was so chilly and dreary, I was also feeling a little blue too, having just received news that a very close friend is extremely poorly. And so baking these cupcakes was therapeutic on both counts. Do you find baking relaxing? 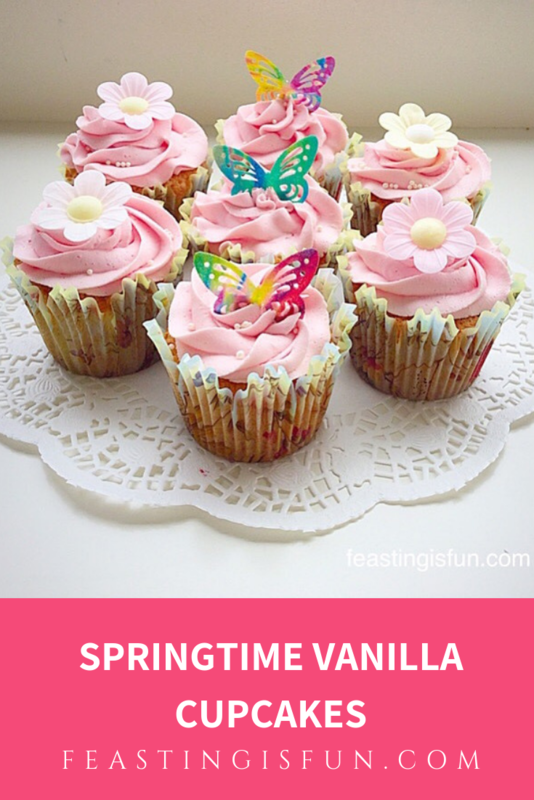 Although these are called Springtime Vanilla Cupcakes, which is true, the cake part is flavoured with Nielsen – Massey Vanilla Extract, for the buttercream I have used a favourite flavoured icing sugar. 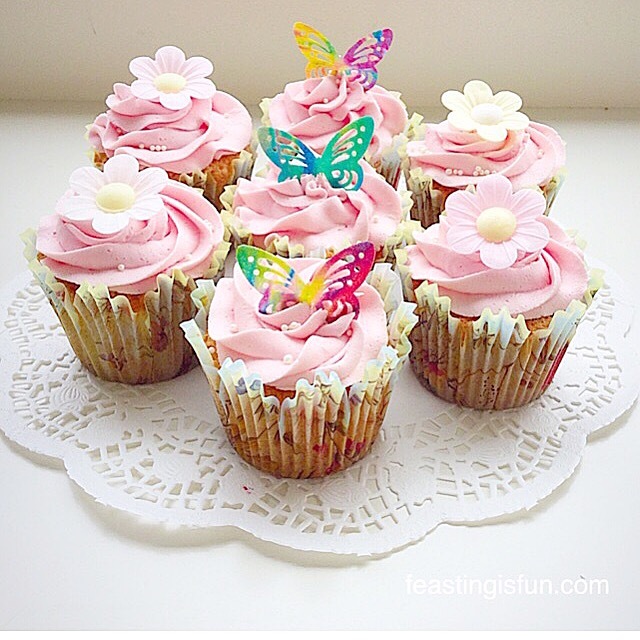 Sugar and Crumbs sell an amazing range of naturally flavoured icing sugars. 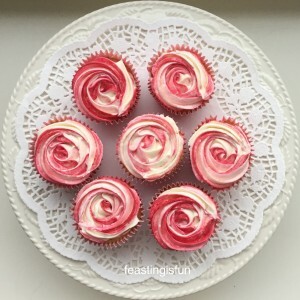 While making my Raspberry Ripple Cupcakes I used their Raspberry Ripple flavoured icing sugar. Since the day that last cupcake was eaten, in Kylie’s own words “I just can’t get you outta my head” I have wanted more. 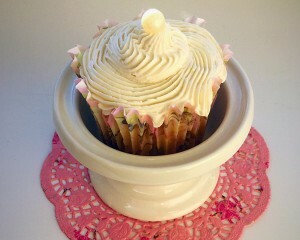 Especially more of the delicious tasting buttercream and more cupcake to swirl it onto!! 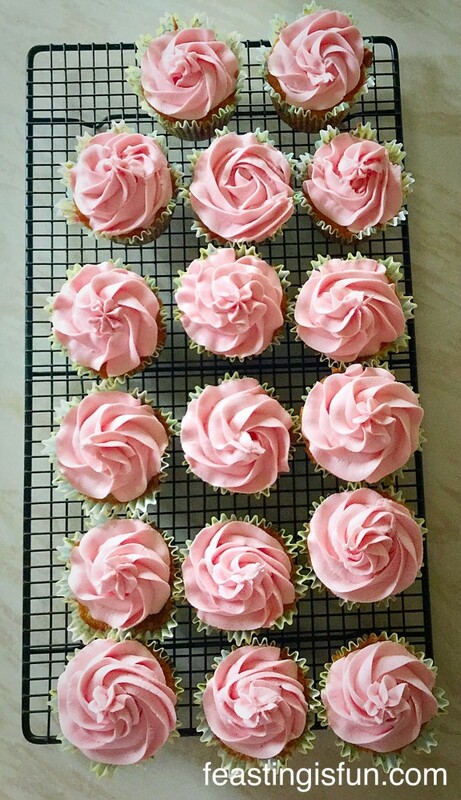 And so these Springtime Vanilla Cupcakes were the perfect excuse to indulge my passion again. Importantly, this time I wanted to leave the option of using flavoured buttercream as a choice. 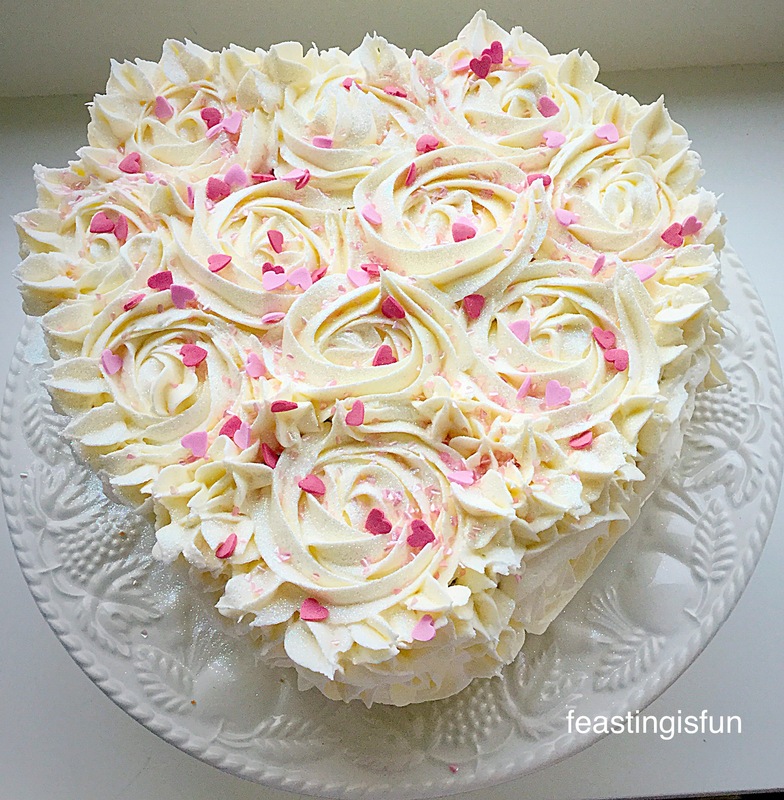 If you do buy some flavoured icing sugar, you can certainly make the buttercream any flavour you like, as the vanilla sponge will go with any flavoured frosting. Alternatively, if you want to stick with vanilla buttercream that tastes awesome as well. Personally I think the pink icing, along with the decorations, really set these cupcakes apart. Although ‘Springtime’ was at the forefront of my mind whilst creating these beauties, with Mother’s Day being this coming Sunday, they would also make a perfect gift for any Mum. 175g/6oz Unsalted Butter at room temp. First of all, line 2 cupcake tins with 18 muffin or deep cupcake cases – the ones I used were a Christmas present from Lakeland. Into a large bowl add your butter and sugar. 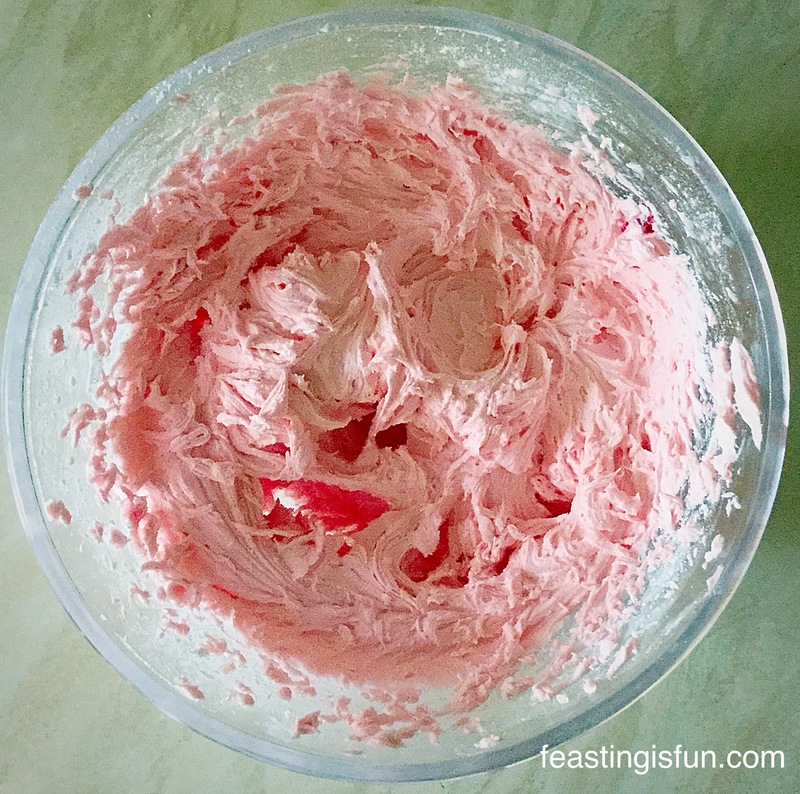 Whisk or beat until pale and creamy – approx 5 minutes. Add 3 eggs, milk and Vanilla Bean Paste. Sift into the bowl the flour, baking powder and salt. Note: This is called the all-in-one method. 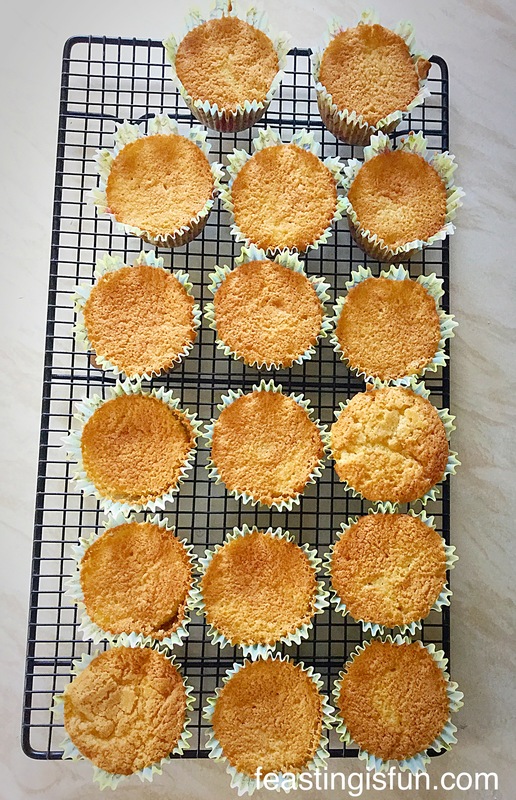 Whisk or beat until all of the ingredients are combined – take care not to over mix and this will make the cupcakes tough, not light and springy. 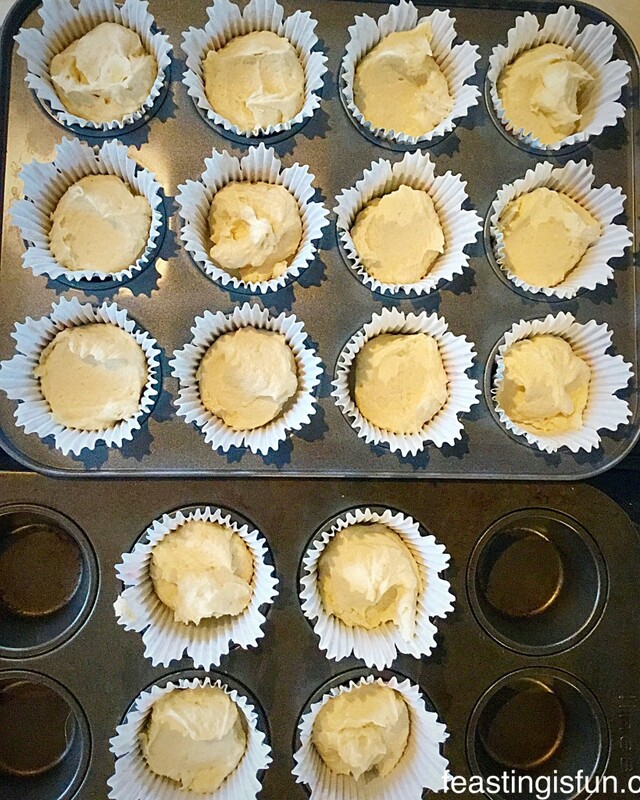 Place a heaped dessert spoonful of cake batter into each cupcake case. The cupcakes are baked when they have risen and are a golden colour. They should spring back when pressed lightly on the top. Add the 2 tablespoons of hot water. 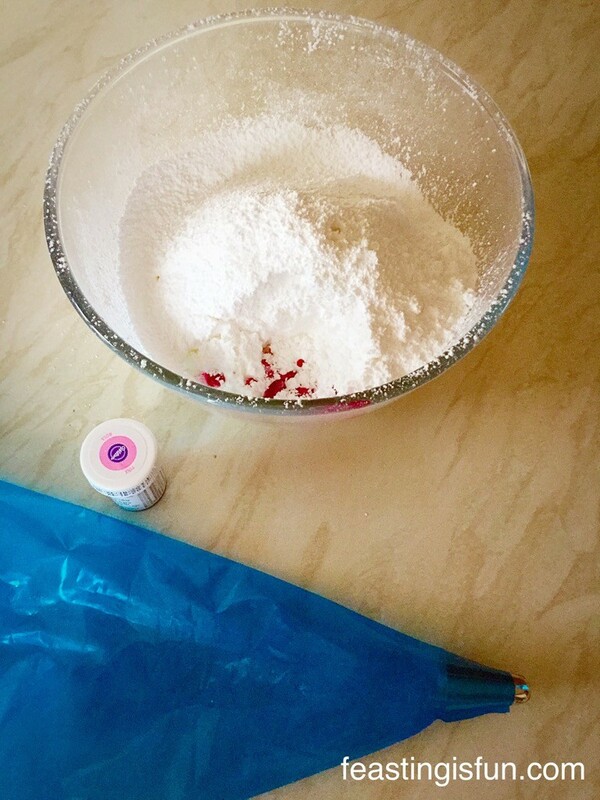 Add the food colouring, I use a cocktail stick and simply insert the tip into the food colouring gel and then add to the bowl. 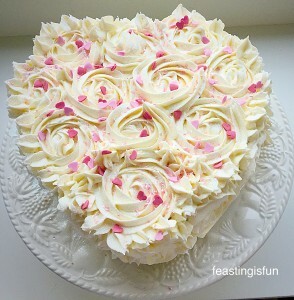 Starting slowly, whisk the buttercream ingredients until light, creamy and uniform in colour. 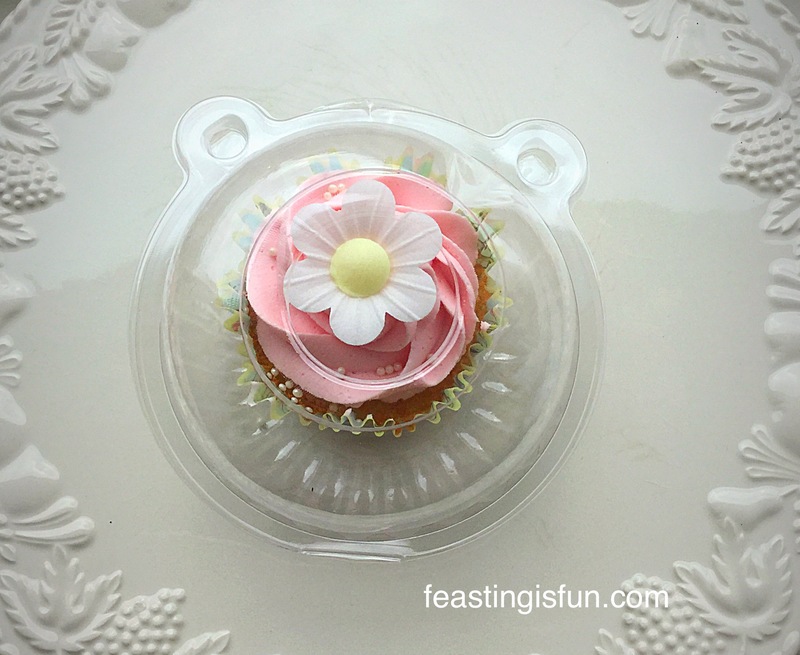 Place the icing bag into a tall sturdy container, I use a jug. Use a spoon or spatula, fill the icing bag with all of the buttercream. Practise on a plate, if piping for the first time. Squeeze the bag so that all the buttercream is together. Keep an even pressure with one hand squeezing the bag and using the other hand to guide the piping tip, pipe swirls onto the cupcakes. I bought some cupcake pods, little plastic containers, perfect for holding one cupcake in and a great way to give individual cupcakes away as a gift. Since they were from Amazon and work out to about 10 pence per pod. Also they can be washed up and used again, which is great recycling and means you can share even more cupcakes with others! 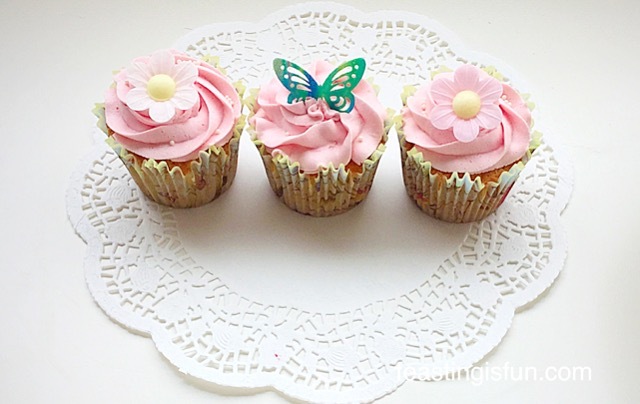 Since piping the swirls onto the cupcakes gives them a beautiful, professional finish. means use whatever cupcake toppers and sprinkles that you have to hand. 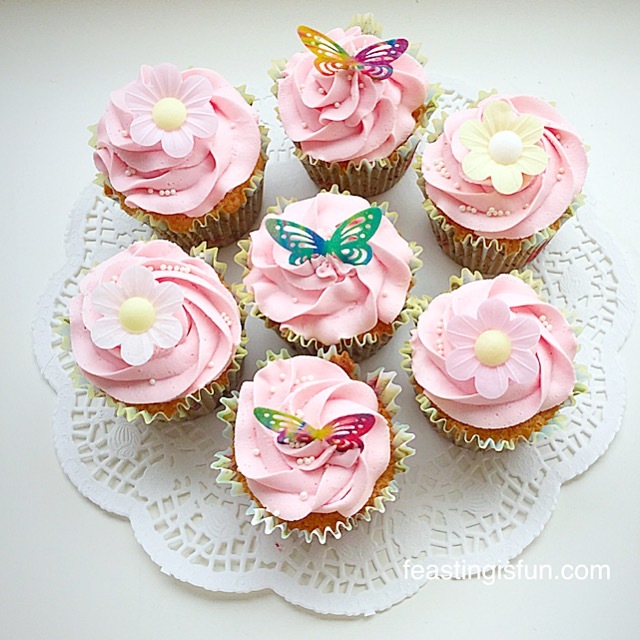 The beauty of these Springtime Vanilla Cupcakes is that they are individual to your own sense of taste and style. 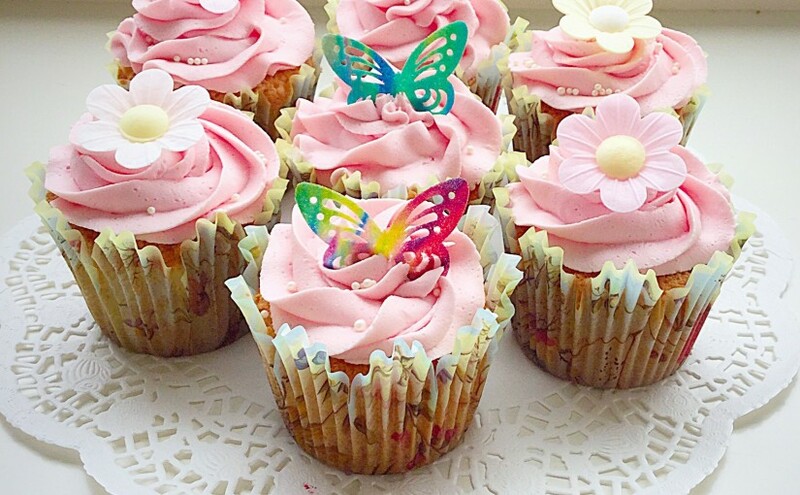 Vanilla Bean Cupcakes so pretty. Enjoy baking and experimenting with piping different swirls! No part of the post may be reproduced or duplicated without the written permission of the owner. Please see my Disclosure Policy.